Hey! My name is Brandon! I'm a multi-instrumentalist and Audio Engineer based in the Scottsdale area. I've lived here my whole life so I'd say I know the surrounding area pretty well! I attended Milano's Music of Mesa where I was formally instructed in many different genres of music under the guidance of a veteran teacher, Norris Lewis. I also went to the Conservatory of Recording Arts and Sciences to study Audio Engineering. I love working with people of all ages/backgrounds and introducing them to the wide world of music. All skill levels are welcome, whether you're a beginner or more advanced! For me, the most rewarding part of teaching is discovering that untapped potential in each student and helping unlock it for them so that they can pursue one of my favorite forms of creative expression: MUSIC! So are you interested? Then let's get started! I taught students of all ages in guitar, bass, ukulele and recording software in a one on one setting at the private studios in Phoenix. Original song called The World Will Spin from my acoustic album, Night Life. Original song called Bounce on my acoustic album, Night Life. Photo credit to Bill Goodman @ Last Exit Live. 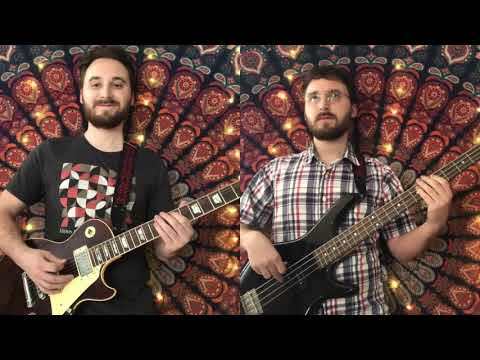 Guitar + Bass cover of "Oracle" by progressive instrumental rock band, Scale The Summit.